From my view in the cheap seats, it seems that what it means to worship God has become open to interpretation. Can I worship God any way I want to? Does church leadership have biblical authority to design a worship service anyway they think is best? Judging by the state of worship in the American Evangelical church, the answer is Yes to both questions. And boy do we ever take this permission seriously! It would appear that singing is what is required if you want to worship God corporately as the Body of Christ. So, if you are not good at it, or don’t really like doing it, you better change your attitude. Flashing light trees, great sound systems, fog machines, stunning visuals and the best possible rock band a church can put together are all utilized to help us sing more. I’ve been to over 40 churches in the past 6 years and have observed this “worship is singing” idea put into practice. I hate to say it, but if this IS what it means to worship, the Church at large is doing a very pathetic job of worshipping God. Nothing personal here. I am just stating the facts as I have observed them. What I see in congregation after congregation is this: The worship team sings their hearts out. The congregation doesn’t. Most people are not engaged. They stand, out of respect. They may even make a half-hearted attempt at mumbling through the words. But 75-80% of the congregation is not passionately pouring out their hearts to God in song. Don’t believe me? Sit in the back row this week, and observe how many people won’t sing. The trouble with our modern view of worship is that scripture and church history never come to the same conclusion that the modern church has arrived at. What we do see clearly in scripture is that worship is a life well lived. According to Romans 12:1-2, it is ones life laid down. Worship is actively saying “NO!” It is resisting the call of the world and the desires of our flesh. It is actively saying “YES!” to God and His invitation to become like His Son, moment by moment and day by day. In my opinion, the modern church would serve God’s people better if they began to embrace this concept of what it means to worship God. Corporately, that would involve singing less and bringing back elements of corporate worship that the church has embraced since the first century: communion, confession of sin, extended readings of scripture, prayer, reciting the creeds etc. The church has always believed these elements encourage and strengthen believers to say no to the world and yes to God in our day-to-day routine. But we jettisoned them long ago to make more time for a worship band. We got rid of them because we thought they were dead rituals and because singing songs had so much more potential to facilitate true worship. I think the experiment has run its course and it is time to bring these elements back. This is more than an academic exercise. The church is in trouble. Food for Thought: Does our emphasis on worship as a song lies at the very heart of Christianity’s decline? It has been said that we become what we worship. While that is true, I also think how we worship affects who we become. The more I consider the decline of the American Church, the more I think a deeply rooted cause of the decline is this sellout we made on worship is a song. That is why I am so passionate about this topic. Do you think the emphasis on singing as worship has weakened or strengthened the church? What do you think of the idea of singing less and incorporating these other elements into our corporate gatherings? If you are a pastor, worship leader or are involved in church leadership, I encourage you to seriously consider what you are doing. Ask yourself the hard questions: Is our corporate worship service as effective as it can be in helping our people live a life of true worship OUTSIDE the service? Sit in the back row this week and observe what happens. If you are not involved in church leadership or worship and would like to see the church you love move in the direction advised here, go talk to leadership. In love, share your concerns. If enough people do, perhaps change will happen. Posted on May 7, 2014, in Christianity, Church Leadership, Contemporary Church Culture, Worship and tagged christianity, communion, early church history, Eastern Orthodox, El cristianismo, entertainment, faith, family, God, inspiration, leadership, Life, music, spirituality, worship, Worship Leading. Bookmark the permalink. 26 Comments. I find it refreshing that there are others that feel the same way I do about the current state of “church” and “worship”. When I share my thoughts and concerns with my wife she tells me I should write a blog about them. I feel I don’t need to, you do a great job expressing my feelings too! Thanks for the comments and the editing help! At least we know there are two of us! Wow! Just wow. I can’t tell you how much I appreciate this post and its honesty. There are many many gems in your words and I have witnessed some of the same things you mentioned. The church I used to attend (notice the USED TO) treated “worship” as a Broadway-musical-meets-Glee-meets-Rockapalooza production. It was hard to know “what” to worship: the light-and-smoke show, the ruggedly handsome guy on guitar with the dreamy voice and devilish smile, the Beyoncesque runs of the lead singer, the wicked mad drum solos, OR the killer slide show complete with lyrics and animated graphics. I often wondered how people could worship God with so many distractions…much less hear Him. I have an inner ear disease called Meniere’s, so I actually had to wear ear plugs to tolerate the “worship” portion of the service. You have no idea how many people told me they thought the plugs were a brilliant idea. Eventually, I stopped attending the worship portion and just showed up for the sermon. Eventually, I stopped attending. Period. Worship is about the condition of our hearts. We worship God when we recognize Him in the tiniest details of His brushstrokes. We worship God when our hearts cry out to Him in prayer. We worship God when we thank Him. We worship Him when we dig into His Word and allow Him to transform us. Yes, we can worship Him when we sing…but that’s not the only way. Thank you so much, Jim, for writing this. I am so very grateful to know I am not alone in my feelings. Hi Heather! I had a similar experience. I started coming in to the congregation towards the end of the singing time. I guess a lot of other people were doing the same thing. So what did the leadership team of the church decide needed to be done? Re-think the whole Sunday Morning Concert in the Church idea? No. Consider that perhaps they were going over the top and spending too much time in the song portion of the service and people were voting with their feet? No. They doubled down. They added one more song to the worship set, and sang it in the beginning of the service. 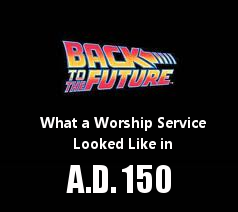 Then, they played all the worship songs at the END of the service. It harder to leave early than come late. No point in my commenting. Anon and Insideheathershead covered it. This is the only blog I have ever reblogged. I still don’t understand why we can reblog, but I figured you didn’t mind since I used a button at the bottom of your page to do so. I’d just like to say what Anon and insideheathershead said. Please consider it repeated. Ditto or something. Simply extraordinary, straightforward, and easy to understand. Thanks for interest in the site. Feel free to re-blog anything. All we ask is that you link back to the original article. I’ve never ever in all the decades I’ve been in churches seen the above practiced in any worship service despite Paul’s expectation that those practices would take place. The leading and spontaneity of the NT Spirit-led gatherings has been replaced by the worship team and the one-man pulpit according to the order of service as dictated by the Sunday service worship bulletin. I have seen it, but it is rare. Mostly in house church’s. We have about 150 people meeting that way in west Tennessee. Shared lives, taking care of one another, and saints who come prepared to give, not just take. Admittedly, we do sing, and we like it, but we all know that real worship is bending our will to the King’s. Don’t misunderstand me, I am not against singing. I only believe that the church has placed too great an emphasis on it. Thanks, Jim. I’ve certainly been encouraged by yours so far. I couldn’t help but think of these words I once posted and received some almost “accusatory remarks” from. We are missing the boat badly when we think we can show up for a church meeting and generate worship. As your post so well describes, worship is what we do with the entirety of our lives, and simply flows into our gathering as the body of Christ. I think there are those who are truly worshipping, even in song and music, or without, in every service, but it is an extension of the worship they have lived all week long. I am with you though also on the liturgical practices. I think we forfeited a treasure by kicking them out for the sake of the idolatry and vain repetition argument. Love the way you make us think. Lord help us. One day I am going to do a post about the type of comments we get here when we discuss worship. They fall into two broad categories: those who agree strongly and those who disagree strongly. What is interesting about those who disagree is that they typically are A) worship pastors B) worship leaders or worship team members, C)Pastors of churches that have the Disco Worship or D) Those who themselves LOVE to sing and because They love to sing, it must be holy and pure. Those who tend to agree with our take on worship are almost always “the Led ones” who are not as passionate about singing. Week after week they are “led” by the worship teams, and many of them have grown weary of it. Nobody in the other group cares what we think, feel, believe or what we are concerned about. They would rather we leave than disturb “their” worship. I don’t post every comment by those in this group because they are often not “Christian” enough to post. The gist of the un-posted comments can be summed up like this: “Shut up you heretic loser and let me worship my Savior! I don’t think most of those that agree with this blog are trying to be mean, cruel, etc. We’re trying to help others understand our positions and feelings. Those “leaders” get frustrated, we’re trying to help them, if they are willing to listen. You can’t trick people [in]to [following] Christ. Getting people to worship with their lips but not their heart doesn’t count. Are we allowed to worship however we want? Regardless of our thoughts and feelings on that… let’s assume we agree to answering that with “Yes”. Will our worship be gladly received by God? That to is an interesting question. Thanks for the link to that article about God rejecting Cain’s offering. I think that this account in scripture is proof that one can not worship God any way they deem right. At least, if one wants God to accept their worship as legitimate. The fact of the matter is that God was very particular about how his people worshipped him in the Old Testament days. Extremely particular. Yet, today most Christians believe that they can worship God any way they want to. To even posit the questions causes people to look at you like you have leprosy! As soon as you mention this topic many people quickly say “Legalism.” and refuse to even discuss it. There is so much irony in simply coming across this post lol. As a worship leader, I have personally struggled with this stewardship because I honestly thought that the church was making too much of music. Additionally, I was apart of a worship culture that I felt was subtly divorcing itself from true Christianity–embracing the OT identity of “Levites” while neglecting the NT call to be disciples. There is so much truth in what you are writing my brother, and I am encouraged by your heart and discussion. Worship, while much more, has become synonymous with a Sunday morning set. As you so aptly pointed out, Romans 12:1 gives us our scriptural mandate for how a NT believer should define worship. It is interesting to note, though, that even in being living sacrifices to God we are exhorted to offer sacrifices. Hebrews 13:15-16 records, “Through Jesus, therefore, let us continually offer to God a sacrifice of praise—the fruit of lips that openly profess his name. And do not forget to do good and to share with others, for with such sacrifices God is pleased.” Here we see that God does in fact want the fruit of our lips, however, this is not detached from our deeds (James 2:14). Music, to be understood, has become a spectacle by-and-large in our churches–no disagreement there. I also understand that there are people who simply do not care for singing, and in more than a few cases people’s opinions are shaped by preference (sort of what you alluded to in your comment about those leading vs. the ones being led). I’m not saying that this is your disposition, but I don’t think people drawing near with lips but not with heart (Isa. 29:13) is an indicator to sing less; instead, I believe our prayer should be “May these words of my mouth and this meditation of my heart be pleasing in your sight, Lord, my Rock and my Redeemer” (Psalm 19:14). I could take up more space here, but I don’t want to be rude. I think my thoughts are well-captured in my most recent blog post (http://quenchnot.wordpress.com/2014/04/27/theres-always-something-to-sing-about/). I would love to continue this discussion with you! God bless you my brother in Christ! I’m glad you stumbled across this article! We have a similar background. I was a worship leader for years, and I struggled with the similar things. Although, things are much worse today. I was also a lead pastor for 10 years. I have helped plant 3 churches. Today, I no longer make a living doing church work and I wouldn’t have it any other way. What I do will surprise you. I am a full time musician! So I love music and I love to sing! The heart of my objection is not that the church sings! It is not that we use instruments. It’s that we spend too much time doing it. In many churches, half of the meeting is given over to singing. Half! We have an early church document that describes what was going on in the church gatherings a little over 100 years after Jesus died. I wrote about it here: Back To The Future: Going To Church in 150 AD. Singing isn’t even mentioned. We do know from other writings that the early church did sing early Christian hymns. In Justin’s account, it wasn’t important enough to even be listed. 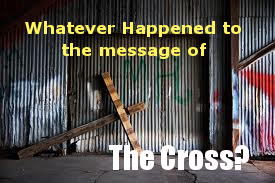 I am calling for a return to the things that help believers faithfully follow Christ. Keep singing, but do less of it, make it less of a show and bring back elements of corporate worship that the historic church has always embraced. I really don’t care Jim what man claims when it comes to Worship, unless it agrees with what God tells us. If the young ones want to go to a disco than they can go and enjoy themselves but the Church was never intended for this, of course they than say; that was because they didn’t have electricity in those days or they would have had flashing lights, drums etc and yes of course neon signs saying shout now, jump now, bump and fall but God tells us all things are to be done in an orderly way… OK I’m old fashioned but than so must God be. I agree with you Jim, Worship is 24/7, it is all about Loving God with all our heart and Loving others too and showing that we do in our Actions and words. P.S Did you think about the rubber tips on the darts Jim ??? I enjoyed your reflections on worshipping God. I am of the studied opinion that by following as closely as possible the examples and commands of the gospel, with regard to the worship is not a factor that will keep or increase the numbers who attend these services. In my area, I have observed the opposite, that folks ‘shop’ for the more worldly, the most modern, the most comfortable groups with which to assemble; and especially where the groups are large enough so that no attention is directed to them. The trend seems to be toward a ‘feel good’ type of service, so that afterwards, when it is all over, they leave entertained, and without any guilt concerning their own service to Christ. Just my view from where I sit. Good stuff! I have seen the same kind of thing. https://polldaddy.com/js/rating/rating.jsI find it very dis heartening that we as christians and servants to Jesus Christ have gotten to this point. Maybe it has always been there just in another form or fashion as today is smoke machines, flashing, strobing lights, flat out rock music at the pulpit. It’s like a disco and party scene sad to say my church has taken this direction. Our singing and light display last approx. 45 minutes and our service (word from God) approx. 45 minutes where are we giving the GLORY???!!! I find myself not interested in my church but I love the people there, I’ve been a server in my church even give messages – Messages that I have seeked GOD’S word on and not mine the man heart. What I’m rambling on about is the fashion churches of today do not want to hear this. To all out there reading this we need churches teaching DIRECTLY FROM THE BIBLE so what if you offend someone by preaching the word of GOD obey Jesus Christ. We need the Holy Sprit to fill and be taught in our churches. Do not be afraid to talk to someone or witness to someone in the word of GOD. Readers – fellow Christians lets all pray that God in his mercy give us guidance and keep his coverage over us, send to all what we are seeking. People if what we are doing in our churches today is to please the peoples eye and look good we have missed it and if there are those of us out there that knows this imagine what our HEAVENLY FATHER is looking down and thinking, what is taking place in his house. God Bless everyone that reads this and pray that God gives you the direction to follow and seek his advice. https://polldaddy.com/js/rating/rating.jsVery interesting thoughts here! As a Christian from a church that does practice a more traditional liturgical life, I find it very encouraging when I come across such questions and comments on modern evangelical worship. 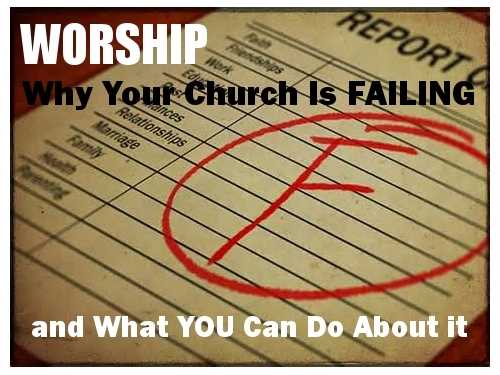 The lack of depth of worship is ultimately a reason I left the evangelical church. However, a simple return to a more “traditional” form of worship is not necessarily a “silver bullet” Unfortunately, the denominations that adhere to the type of worship that you describe are also in decline. 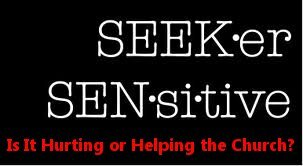 There are various reasons for it… but ultimately, it boils down to a heart issue. I would humbly suggest that it seems many people do not understand what they are doing and do it because it’s what they’re supposed to do. We have also become so enamored with the world that it is difficult for us to live a life of worship. It is easier to just limit worship to Sunday morning rather than choosing to allow it to completely invade my entire being. While truly understanding the original forms of worship and returning to them may be helpful… It is ultimately, more an issue of finding ways to train the heart to worship God in Spirit and Truth, and finding ways to pass that knowledge and practice on to the next generation.